One of the best parts of Easter is the fun and creativity of making Easter baskets for your loved ones. We usually make baskets for our children or spouse, but this Easter, extend that thought to a friend or family member who may not be getting an Easter basket this year. It could be a close friend, a parent, aunt or uncle, cousin or grandparent. Make their Easter special this year by putting together a unique basket especially for them. For many, celebrating Easter is not only a time to go all out on sweets and get together with friends and family, it is also about celebrating the start of Spring, and the anticipation of those upcoming warmer months. Keep this theme in mind when decorating your Easter baskets. Making your friend or family member their own Easter basket will make them feel special knowing that you thought of them to share the holiday. Make a list of those you want to make Easter baskets for this year, and include items such as these for the both of you to celebrate the long-awaited Spring. Easter is coming. 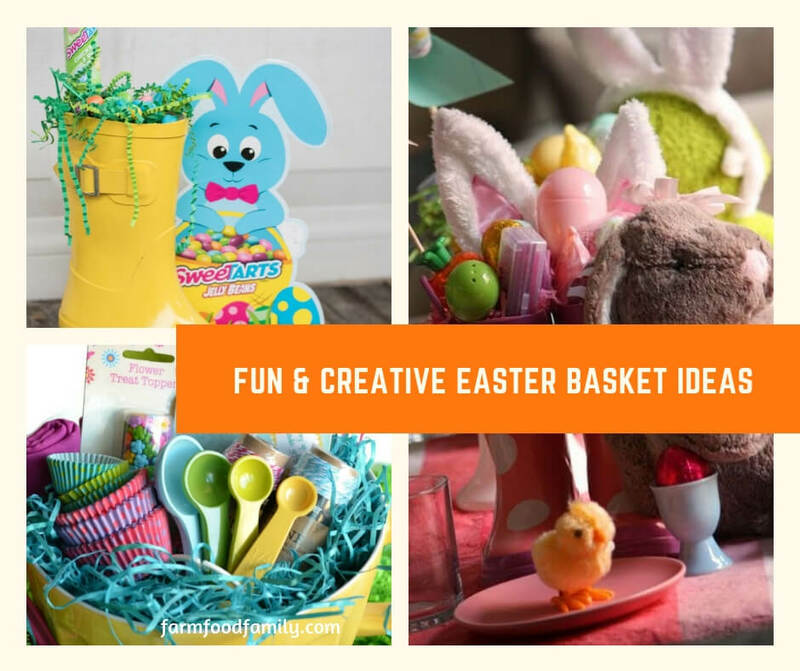 Looking for creative Easter basket ideas? Here are more than 19 fun ideas with baskets that are suitable for all ages, from toddlers, kids, fathers, and also great for both boys and girls.